Ronald P. Toby argues that this isolationism was by no means so complete as traditionally supposed. 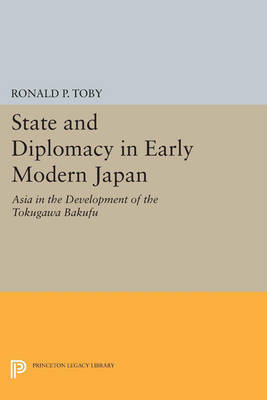 He demonstrates that the Tokugawa shoguns conducted a foreign policy that established the shogunate's legitimacy, preserved Japan's security in an unstable environment, and buttressed her ideological pretensions to centrality in an East Asian order independent of the Chinese world order" more familiar to historians. Originally published in 1984. The Princeton Legacy Library uses the latest print-on-demand technology to again make available previously out-of-print books from the distinguished backlist of Princeton University Press. These editions preserve the original texts of these important books while presenting them in durable paperback and hardcover editions. The goal of the Princeton Legacy Library is to vastly increase access to the rich scholarly heritage found in the thousands of books published by Princeton University Press since its founding in 1905.